Ingram Book Group is the largest distributor and wholesaler of books in the United States. Founded in 1964, the company also owns Lightning Source, a print and fulfilment company with facilities throughout the world. In the summer of 2013, Ingram launched a dedicated publishing platform for small publishers. 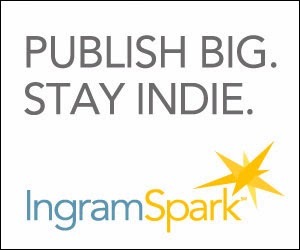 Although touted by many as Ingram’s answer to print and publishing services like CreateSpace, Lulu and Smashwords, IngramSpark is actually intended to be an easy-to-use platform for publishers lacking the resources of many larger publishers and holding a catalogue of less than ten titles. Ingram wanted a platform that could reduce the amount of time and effort publishers spend trying to manage the complexities of distributing a book around the world, but utilising the best technology, manufacturing, logistics, and distribution capabilities available. The first obvious question to ask is what the difference between Lightning Source and IngramSpark. It’s a question I tried to answer in this post some months ago. In short, and while I do not want to rehash arguments and discussions from previous articles on TIPM—technically, beyond the front-end UI (user interface) of IngramSpark and Lightning Source—there is actually little if any difference in the final book product. All books pushed through IngramSpark go through Lightning Source’s print facilities and Ingram’s inner e-book platform, CoreSource. Where IngramSpark provides a smooth easy-to-use interface better suited to self-published authors wanting a degree of control, support, flexibility and independence outside of full service publishing providers (and with slightly reduced set-up pricing), it does restrict authors and publishers offering retail discounts lower than 55%. Where Lightning Source allows total flexibility on retail discounts, it does not present the ideal hand-holding and support experience for new publishers and authors unfamiliar with the book industry. Brian Kittrell produced this helpful video to explain the differences between LSI and IS a little more. IngramSpark is NOT a full service publishing provider, no more than Lightning Source is one. Nether offer proofreading, editing, typesetting, or design services. Consistently when you search through IngramSpark for answers in these areas, you will be advised to seek the assistance of an author services company. Likewise, IngramSpark cannot at this time offer book conversion services—in print or e-book—for publisher or authors. 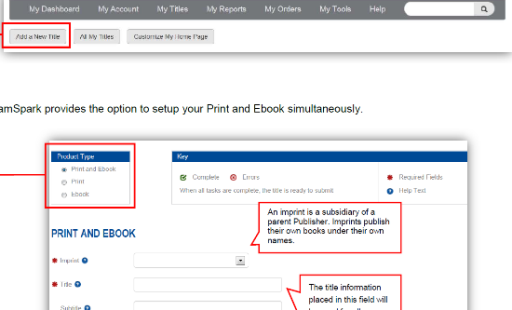 This means that even if you are an author with a registered publishing imprint and block of ISBNs—you still need to provide IngramSpark with a completed interior file (PDF) and exterior book file (PDF/JPEG for cover and ePub file for e-books) for print and distribution. Even IngramSpark has been somewhat circumspect on defining exactly who their platform is most suitable for. 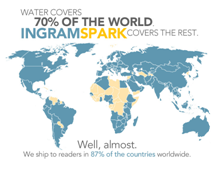 IngramSpark (IS) is a tool that provides publishers with simple and affordable access to Ingram’s global distribution network for print and e-book content. Setting up an account with IS relatively easy, and certainly a lot easier than setting an account up with Lightning Source (LSI). You need completed book files, a block of ISBNs, a credit card, and an email address. See the How It Works section for step-by-step instructions. If you already have an LSI account, then you will be asked to contact your current customer service representative (at LSI) before proceeding. You do not have to convert to IngramSpark if you are already a LSI account or if you are currently working with Ingram Publisher Services for distribution services. The issue here for Ingram is a publisher or author setting up dual accounts and mistakenly trying to push the same books through both platforms. Yes, you can have accounts with IS and LSI, so long as you are aware that you understand the requirements of both platforms and that LSI/IS files may be compatible with both platforms but cannot be submitted ‘as is’ with the same file names and templates. I’ve accounts with both, but I can understand IngramSpark’s caution in regards to dual accounts because the potential for an unmitigated disaster is high from a self-published author demonstrating a haphazard or carefree approach to both. During the sign up process you will also be asked if you have titles available through Amazon Kindle. (NOTE: If you have current publishing agreements with Amazon Kindle over the last 12 months, you cannot include IngramSpark e-book distribution without clicking the opt-out clause. Robin Cutler, Ingram’s Manager of Content Acquisition, in an interview with Joel Friedlander from TheBookDesigner.com, is careful to underline the difference between IngramSpark and other one-stop-shop publishing services. She describes IngramSpark as an attempt to ‘marry print on demand technology with our ebook distribution technology together and then streamline all of our processes related to setting up an account making that as easy as possible and then setting up titles as easy as possible for publishers.’ This is a one-stop-shop for publishers to access distribution, rather than designed as a one-stop-shop for self-published authors. Yikes! The referral to CreateSpace might perhaps be a sound decision for many self-published authors, but referral to an Author Solutions’ imprint is certainly a horse of a different colour! IngramSpark is no assisted author service provider by any means, and I think it should just stick to what it knows best. Please be aware that there are restrictions in some global territories to setting up an IngramSpark account. You will be asked to electronically sign contracts. Once you have set up an account, you will be introduced to your dashboard navigation on the publishing platform and it is here you will be required to complete set up of your account with some tasks: completing business address, compensation information (royalty payments), credit card details and tax information. As far as I can see, bank details must be supplied. This is a commercial agreement you have electronically signed, so don’t expect PayPal to be an adequate means of doing business. Compensation will be deposited directly into your bank account. The first payment from IngramSpark will be made to your account within 90 days from the first payment received from retailers and libraries. All other payments will follow monthly. NOTE: DON’T refer to payments from IngramSpark as royalties when communication with their support department. IngramSpark is your print and fulfilment provider, NOT your publisher! IngramSpark pay YOU—the publisher—revenue. 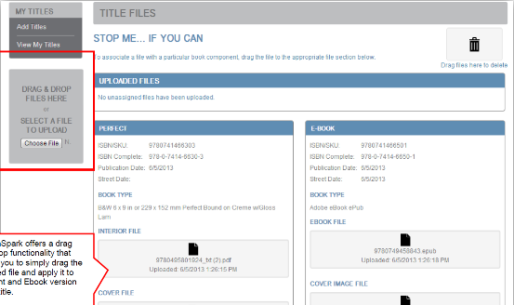 From the dashboard, publishers can load/update book files and gain access to a cover template generator that should simplify the process. The dashboard will also give you access to your project/titles and information on sales, which is updated daily. Publishers’ sales reports are correlated on a monthly basis. IngramSpark provide a full user guide here in PDF. 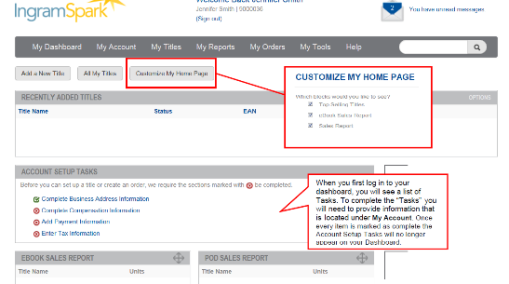 IngramSpark allow users to set up titles as print or e-books, or both simultaneously using the online title set up and load-up tools. As this point biblio, metadata, genre categorisation and author/publisher details can be set up. The tool will take you through print specifications, distribution channel options, pricing and returns. I would not advise any account users/publishers to commence this process until they have all the production files ready and all relevant detail to hand, including ISBNs. The load up of production files works with an easy-to-use ‘drag and drop’ facility. The load up tool will also calculate the overall charges due to the publisher before the process is complete. Trim sizes, paper types and bindings can all be selected at this stage much in the way it is carried out with Lightning Source. A publisher is locked into a 55% retail discount, but returns are accepted by IngramSpark, and can be switched between ‘deliver’ return and ‘destroy’ return at any time. (NOTE: Publishers, regardless of their base (USA or non-USA), would be unwise to select the ‘return’ delivery option. Fees for returned addresses are charged at wholesale cost +$2 per title for shipping and handling ($20 per title for non-US addresses!). I strongly suggest the ‘destroy’ return option. 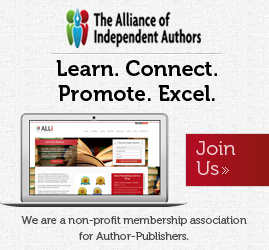 You can find the IS Print & Ship Calculator and the Publisher Compensation Calculator here. Publishers can also place direct orders for books through the dashboard and specify freighting means and any kind of delivery address. 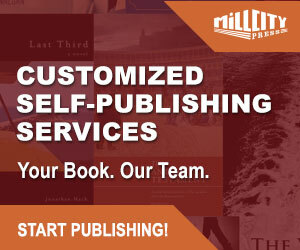 Should a publisher order 50 units of a book directly within sixty days, the $49 set-up fee will be waived. When Ingram initially announced the launch of IngramSpark during the summer of 2013, there was mention of a buy link to Bowker/Nielsen for blocks of ISBNs, but as of the time of this review, it does not look as if this facility has been set up yet. The 45% list price revenue for publishers is the most controversial part of IngramSpark, and a 300 page B&W interior paperback book, with a full cover colour, priced at anything under $11 (retail) will leave an author with virtually nothing! IngramSpark also provide a very detailed and easy-to-follow FILE CREATION GUIDE for books submitted through an IngramSpark account. Frankly, the depth of platform guides and support for IngramSpark are astonishingly good. Outside of IS, the guides would still be helpful to any small publisher or author starting out on the right professional foot in learning how to prepare files and understand the requirements of the book industry. Ingram offer some the largest wholesale and retail channels available fulfilling orders placed through 38,000 retail and library partners worldwide for both print and e-books. Ingram and Lightning Source have become the distribution mainstay option for many fully assisted self-publishing companies that work with authors. In essence, I can understand why IngramSpark don’t consider companies like CreateSpace, Smashwords, Blurb or Lulu as competitors. These companies offer something different to IS—maybe even more flexibility and willingness to work with authors prior to the completion of production-ready files. And whether that means featuring basic cover design widgets or an array of premium services like design, editing and marketing, Ingram is specifically a global distributor with print and e-book fulfilment—not a publisher or even a complete publishing solution. I think before comparing IngramSpark with other so-called competitors—that should be borne in mind. The real power of IngramSpark is ease of use, time efficiency, a very powerful UI, and go-to-market speed. IngramSpark is still a work in progress and I am only too aware, in the few months since its July launch, that many authors haven’t—and won’t—switch because of the locked 55% retail discount. I know only too well that Robin Cutler and Ingram executives are very much open to feedback from IngramSpark’s newest account holders on this issue, and while they won’t commit to saying anything publicly, I am convinced that it is simply a question of when they relent on the locked retailer discount, not if they will. I’d be happy with a two-tier discount system—say 55% and a lower 40%. I share the opinion that if self-publishers are serious about selling books into physical bookstores, that few buyers beyond a handful of local independent stores prepared to support and host local authors, are going to accept much below 40% as a discount on the retail price of a book. I know some authors who negotiate with independent sellers and can achieve even lower discounts, but believe me, it remains a vast exception to the rules of the industry. I’ve had the pleasure of publishing books through LSI, Blurb, Lulu, Bookbaby, Smashwords, CreateSpace and several other smaller publishing platforms (myself and clients), but none of them come anywhere near what IngramSpark has as an actual publishing platform. I’m making careful distinction here between online design tools and load up facilities, and proper publishing engines working to industry standards—meaning proper book file preparation specs, bibliographic and metadata submission, and all viable e-book and print distribution channels (wholesale, retail and library). What IngramSpark has put together for publishers against what exists elsewhere is like comparing the Nokia 2310 with Samsung’s Galaxy Note 3. Technically, the best I have seen—freely available—is Blurb’s BookSmart software. Blurb’s limitation has always been distribution, certainly not vision, and their publishing platform will integrate with professional design software like Quark and InDesign. It’s one area Ingram can learn from. The IngramSpark publishing platform is outstanding as a post-production file system. There is simply no other accessible platform that remotely touches what it can deliver. It’s a work in progress and by no means perfect. If IngramSpark wants to present itself as a professional option for small and independent self-published authors, then it needs to look at integrating its platform with professional software. With Adobe shifting much of its products to subscription models, I would suggest Ingram offer some form of online affiliation and discount to Adobe’s Creative Suite of online products. Certainly I’d also like to see some kind of IngramSpark publisher forum and series of video tutorials. IngramSpark is not the new answer to CreateSpace, despite what has been reported elsewhere. 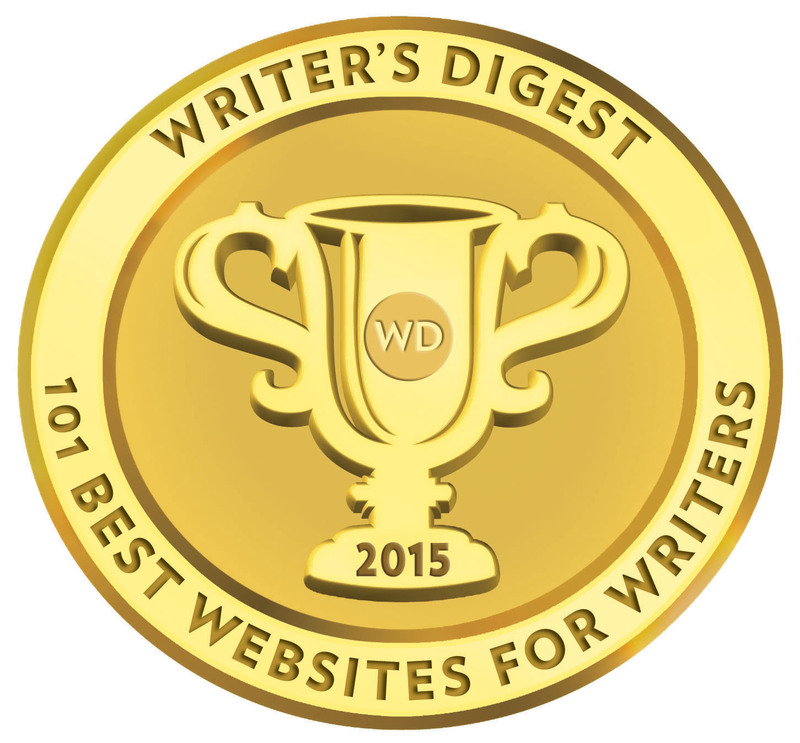 It is rather more an upmarket competitor with a better interface, but with some restrictions savvy self-published authors might be uncomfortable with. This is a publisher platform aimed at small publishers with less than ten titles, but does not carry the same frustration and chunkiness of LSI. In many ways it’s actually easier to define the kind of authors IngramSpark is not suitable for. • If you already have an account with Lightning Source as an author-publisher, than I see no reason to switch at the moment. • If you are an author who needs to seek technical advice and support to produce production-ready files from MS Word docs, then IS isn’t for you. • If most of your readers buy your books online, and in e-book form, then IS isn’t for you. Stick with Amazon Kindle and CreateSpace. If you use professional design software to produce your books, publish more than one title per year, have a designated publishing imprint and block of ISBNs, several back catalogue titles already published, understand a little of the publishing business, and want to sell your titles to a wider audience and on a more professional level, globally, then IngramSpark should be a serious consideration if you don’t already use Lightning Source as a print and fulfilment option. In my initial provisional review of IngramSpark, I gave a very restrictive 6.0 rating, but having examined them thoroughly, and used their UI, I’m upgrading the rating to an 8+. IngramSpark is without doubt a premier option for small and self-publishers. UPDATE: November, 2014 – IngramSpark now offers a lower 30% retail discount along with the 40% and 55% points. A criticism of Ingramspark is the speed of revisions which can take up to 5 working days. You may have only altered one word but may have to wait 5 days for approval – this is ridiculous. The turnaround time for a cover/interior submission or revision should be one day. Maybe they need more staff. Although I’ve found the staff at IngramSpark to be very polite I think something is quite wrong with the way the company is run. I submitted a new title, got it set up in a week, which is fine. I then ordered a single proof copy on rush order (1 to 2 day turn around). It’s now 9 days since I received confirmation from IngramSpark that the order was being processed, and it has sat in ‘printing’ status ever since. I emailed and spoke to two staff earlier this week – they both told me this book had been printed and was being shipped that day. Nope, it’s now two days later and the status is still ‘printing’. I asked one to tell me honestly how long my next order of 300 copies would take to be shipped and delivered if I paid for rush service. She said at least two weeks. This is slower than any of their stated options, and also means paying for ‘rush’ is just a gullible tax (which I paid). As I said, the staff are very polite, no problem there, but there’s something wrong with a company offering a service level they clearly don’t deliver on. 100% agree, they are so slow it’s obscene, they continually charge for adjustments as small as one word so they are obviously not reading it their simply ripping people off. I ordered 10 copies and here we are 13 days later still nothing, yet the first proof copy I ordered arrived very quickly. The Australian print quality is rubbish, have had two proofs from them and both full of Ink drips throughout the books, and their excuse, it’s just part of the printing process. Yet the proof from the US was perfect. So what they’re are really saying is, “Because you refused to pay the overcharged tracking fee, by us, we don’t care and are happy If your books are lost and you have to send us another few hundred dollars, and pay the tracking fee, so your books get to you next time, sucker. I am having the same trouble with them. They charge outrageous amounts for shipping. I think that is their way of making more money on the books. I have a non-profit that I sell to. If I choose to ship to them direct, they consider them a business and charge so much for shipping that I loose money on the sale. I end up having the books sent to myself and shipping them from here. This takes longer for the client to get the books but at least I am able to make a little profit on the sale. Right now I ordered 24 books, they shipped them USPS with tracking numbers on each box, 4 boxes. I only received 3 of the boxes and they are telling me there is no way to locate the missing box. The value of the 3rd box is $350.00. So I am just out that money, too bad sucker according to them. There has been an improvement with communication (via email) with authors outside of the US – that is good. I chose Ingram Spark because it offered ebook distribution which is supposed to be superior to Smashwatds. However, nothing makes any difference if I cannot read the sales reports. I have been trying to get a report of any kind online but the module says “you must opt for email reporting when multiple currencies are involved”. Then it lists a series of checkboxes. I cannot get a report for any single currency and I have emailed them several times about this, but if I am being ignored because they can’t bother to examine or fix anything I’m going back to Smashwords. I hate companies which don’t respond to client inquiries. Now, also I have ordered new inventory of books to take with me to an upcoming show but it looks like I will not get them on time. This is the same problem noted with Lulu and Createspace, which is precisely why I don’t use them. I convert my own epubs, produce my own PDFs in about 5 minutes of work. If IS can’t respond to anything in a timely manner I may just go with some other service and forget about the distribution altogether. Beyond farce. I’ve been waiting 10 weeks for the finalised epub. They guarantee 3 weeks turn around. Abysmal communication, ghost ftp links with no content etc. Don’t bother with service and go elsewhere. The first order of a test book was alright, as was the next order of ten books. All clear? No way, the next order for 50 books got me TWO books that were right and FORTY-EIGHT books that were not trimmed correctly. Bleed photos no longer bled, apparently because they trimmed too much off on the inside of the page and couldn’t trim to the photos on the outside and still have an 8.5″ page. Now there’s a .125 white strip on the edge of the page that isn’t supposed to be there. So did Ingram Spark say “we’ll take care of it”. Hell no, it was “fill out the form and we’ll get back to you.” Meanwhile I have orders to fill and an upcoming event in 10 days. I went to the bank to see about a business loan so I could stop messing around with an outfit that doesn’t think it’s any big deal not giving their customers what they paid for and apparently has no quality control. Same thing just happened to me!!!! Ingram has horrible quality control. Absolutely inconstant and sub par. I am very disappointed!!! I was trying to decide between Ingram Spark and Troubador-Matador but the above reviews convinced me to go with Matador again. 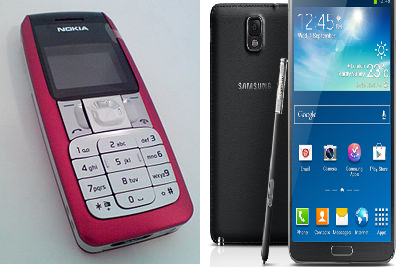 What really concernd me was receiving an already signed contract between IS and me. That really has alerted me to this company. So far with IngramSpark the sales reports come out rgularly – it took a while for them to kick in but I get them when it’s time. Pay has been on time as well. Such as it is. Their interface is easy to follow, and their reach his pretty good from what I’m given to understand. My main complaint is: how much they charge to print the books. Take for example the order of four books I had recently. Four of the same book were ordered. I offer a 50% discount, but the book is also marked up so that I should make .. say… $10 per book after that. However Ingram charges a printing fee – understandable however… it was PER book. The more you make off the book, the higher the fee. In the end no matter what you do you’re lucky to make $2 per book. And I’m supposed to take that measly $2 and split it with my author somehow. Take it down to $1 a book and they’re hardly worth the effort. There has to be a better way than Ingram Spark out there. These comments are really discouraging. Are there any good choices out there? Hi, I have a new author account with Ingram Spark and just recently purchased two copies of my book through my publishing company and the sales were reported to my company. Also I as the author received royalties. However when I further purchased 38 books the same way, I did not receive my royalties nor did my publishing company receive any report showing the sales of the 38 books as Ingram Spark did when the original first two books were sold. I talked to a person for the company and they told me, they can’t find the invoice of the sale of the 38 books and also that as an author I cant expect any royalties from sales that I made through my own Ingram author account using my publishing company. However they did pay me royalties on the first two books that i paid for using the same process they now say i can collect royalties on. Any clarify on this matter will help. They also like to cancel books randomly without explanation, I have just found – because readers couldn’t get a copy and complained! Word of caution about IngramSpark. Don’t do it. After working through the formatting issues with Smashwords with flying colors, I felt fairly competent to do the same with IngramSpark. Long story short, following countless phone calls to their “help” line, where I received conflicting instructions, (and don’t let them tell you they have a chat line “if it’s open.” It’s never open. ), I quit them and went elsewhere. Several times a day I waited the half hour it took for the youthful helper to get around to me on the phone and received pat answers that didn’t work after all. I finally gave up after hours of working through their “instruction” only to discover that I could solve the embedded font problem if I purchased an expensive Adobe program. First of all, the first guy I talked to offered their expensive formatting service. Why so He said, “I think they have to retype your manuscript.” I knew better than that. Second, I can’t help but to compare Smashwords excellent step-by-step, entertaining and encouraging manual to guide through the formatting maze. IngramSpark, by comparison throws out a disorganized and discouraging worksheet, basically, that doesn’t help much. You end up calling again. Third, I was having trouble with embedding the fonts. After reformatting from scratch three times, the problem continued to crop up. I never got the manuscript ready, even with their “assistance.” Here’s my question: Why can’t IngramSpark just put the manuscript through whatever programs would take care of this problem? Smashwords does. They call it their meatgrinder. And it’s FREE. IngramSpark, for their $50, could offer the same sort of service and keep a lot of customers happy, instead of stringing them along and collecting fees. Starting with the first “helper” (the retyping guy), I told them that their operation felt like a money grabbing machine, not a publishing machine. Intermittently, as I lurched along with their glib “instructions,” I felt duped, right up to the end when I became sure that I was being conned. I promptly closed the account and asked for the $50 back. Here’s the deal. If you’re thinking of publishing through IngramSpark, keep looking. I’ve had print quality issues (even though they told me my cover and interior were perfect), but no issues at all from uploading either the covers for paperback and ebook, or for paperback interior files. Just use Adobe InDesign to design your paperback or hardcover book. Yes, you may have to buy some instruction books and take time to learn it, but it’s worth it, or you can buy InDesign templates. Once you have proofed it thoroughly, make a PDF with Adobe Acrobat using Ingram’s PDF spec, and if you’ve set up your book correctly, it is approved just fine. When using InDesign for your print books, you don’t need to go back and forth with Ingram or anyone else once you know the size of your book. You have to be willing to do work yourself or pay for it done. You can have every Adobe Creative Suite program you wish to use for a flat $49/month. That means Photoshop, InDesign, Illustrator, Dreamweaver and a dozen more and they are automatically upgraded. I’ve had it for a few years and it is worth it. My problem with Ingram was nothing to do with their guides which are pretty clear. And I loved their cover and spine calculator. It’s just my recent issue with faded printing (as if they were low on ink) and then charging me to redo it. Good luck. No matter where you publish, having an appropriate PDF will serve you well. These reviews really are discouraging. But from what I’m reading here, I think I understand why some of the simple preliminary questions I emailed them have not yet been answered. Apparently that they aren’t too keen on customer service. Someone on here mentioned Matador. I think I’ll give that one a look-see. Thanks all, for the heads up. First ask Matador, what royalties they will pay you? The amount you will get is peanuts as others they use will get the cut too. When I asked that question I was told they did not want to do business with me. I am financially qualified so I can pick up the flaws. I then went to Createspace. Very pleased and I would use them again but only go as far as editing and then look for a literary agent. Price reasonable too. Editing was very professional by people who seem to have attended school of Editors. But you will be asked to make changes yourself. It is not spoon feeding. They use a software for editing which is sent to you. You will have to be a techie. Problem: books not in bookstore; Createspace is owned by Amazon. Bookstores not keen to stock them. IS is the absolute worst online company that i have ever dealt with. As with the other comments above, they have zero customer support. They don’t return calls, they don’t return emails, hold times on their support line is well over 30 minutes. They completely ruined my book launch, and I had two major book signings scheduled which needed to be cancelled because I could get any books delivered in time. Caveat Emptor; DO NOT do business with this company. I have been trying to cancel distribution, and I cannot even get responses to do that. Every interaction yielded negative and disappointing results. All was good with IS first order. Then made second order for 200 books. IS shipped 6 cartons, one was destroyed by UPS. No notification, nothing. Called IS, was informed they would email claims form. I only have iPad which will not fill out any forms. Emailed again to ask for physical address to print form and mail. No response. Now all I get from IS is an email asking how I would rate customer service. I rate it as a joke with no punchline. Most likely will never be reimbursed for loss. Why go through these kind of companies, when you can publish on amazon (both print and electronic)? it offer 70% of the sale. I am looking to publish in 2 months and trying to find the pros and cons. Thanks! If you have a color book to produce, CreateSpace is cost prohibitive. So far, I have managed to work with IS. Their help is always available, and always polite. Just keep in mind they are a print company, not a design company or a publisher, so there are many issues they cannot help you with. Use the File Creation Guide. I admit, I am less than thrilled with my proof hard copies. The full page photos all show white lines to some degree on one to three sides! Which means their variance is greater then the 1/16″ they claim, as they have used all of the bleed and have gone into the page by as much as an 1/8.” I’m frankly not sure what to do as I need to order 500 copies. Update for my recent experience May-June 2018: I ordered a proof from Create Space and one from Ingram Spark for a paperback book. The one from Create Space printed beautifully. The one from Ingram Spark looked faded (I have about nine color illustrations inside the book, all were washed out, even the black print). It took from time of ordering proof to receipt of proof three days no extra charge from Create Space. Paying an extra charge and double-plus for a proof from Ingram Spark took three weeks to get an inferior print. In discussion with Ingram Spark about the faded print, I was basically told I had to accept it, too bad. They said I had followed their specs but that all books are “a little faded.” (not true!) I am an experienced graphic designer and deal with printers every day. That wasn’t good enough. But, thinking about it, I took time to revise all the artwork and cover with some new settings to see if that would print better for them. Then, they wanted to charge me $75, when it clearly states that it doesn’t cost more for a work that has not been approved. They decided it was approved. I have asked them to close my account because I don’t care where they distribute, it is the principle of it and I won’t deal with bad printing and over-charges. I will have to figure out another way to go about it or stick to Amazon I guess. Amazon is a little primitive in trying to get things done, but they did a good job on my book. Yes, you don’t make nearly as much on the sale of your book (especially one like mine with many color illustrations) from Create Space, but quality was more important to me. Thank you for this wonderfully informative article. Just teetering between IS and LSI and was very confused that other publishers I looked at all dealt through LSI and through Ingram for Distribution. You have answered so many of my questions. An update to my commentary from 2015 (Gads, has it been that long? ): Recently I took a group of books out of a series and republished them as stand alone novels around the same theme. I went into Bowker and removed the series (they were fine with this) and then I checked into Author Central on Amazon and discovered that one book still showed the series name. I contacted Amazon and they told me I had to tell my distributor to change it. So I did. Ingram Spark told me they needed to know which books were out of the series, so I told them. Nothing happened. 3 weeks later, the series name remained on the one title. Then, I was informed in a phone call by Amazon that none of the books should have been taken out of the series. I told the rep that I was the publisher and it’s my decision what happens with my books. Again, I was told to talk to IS. So I did. Except that when I called them, I was put on hold for 20 minutes until a recording came on and told me to hang up and try again. So I went on IS’s chat and told the rep there what was going on. He started a ticket for me. 6 days later, nothing happened. It was then when I complained to the BBB about no support or action from IS. After some back and forth between me and Amazon, (very little from IS), BBB closed my case for “lack of communication”. I specified in the complaint that I prefer to communicate by email. No one seemed to care about that. So I sent an email to IS Legal Dept. and asked, “who is the publisher here, me or Amazon?” In the email I specified that I would pull my titles off IS if they could not get off their lazy butts and do something. So far it worked. But then, the question is, why did I just spend thousands of dollars to publish 16 books with IS if this is the attitude they are going to show toward their clients? I am seriously considering pulling the titles out anyway, for all the time and energy wasted shouting into the wind. As it is, I cannot work with CreateSpace because they are an Amazon company, and Lulu has its own share of problems. I am looking into dealing with LSI again instead of wasting my time with Ingram Spark. Theresa, I’m somewhat confused with the above. As you rightly say, you are the author and publisher using the IS ecosystem. You, not IS, decide what is still available (in print or e) from your book series through your work platform dashboard on IngramSpark (IS). IS is a publishing platform and updates to their system (like Bowker) are fed to *their* data listings with sellers. But IS is not responsible for Amazon’s updates (or any other distribution network or seller). I also don’t understand this bit: “why did I just spend thousands of dollars to publish 16 books with IS if this is the attitude they are going to show toward their clients?” With IS rates to publish, per book, per title, I’m struggling to understand how publishing 16 books would amount to ‘thousands of dollars’ with IS unless you are including additional formatting services (3rd party) or direct print costs with IS. LSI and IngramSpark are the same ecosystem!